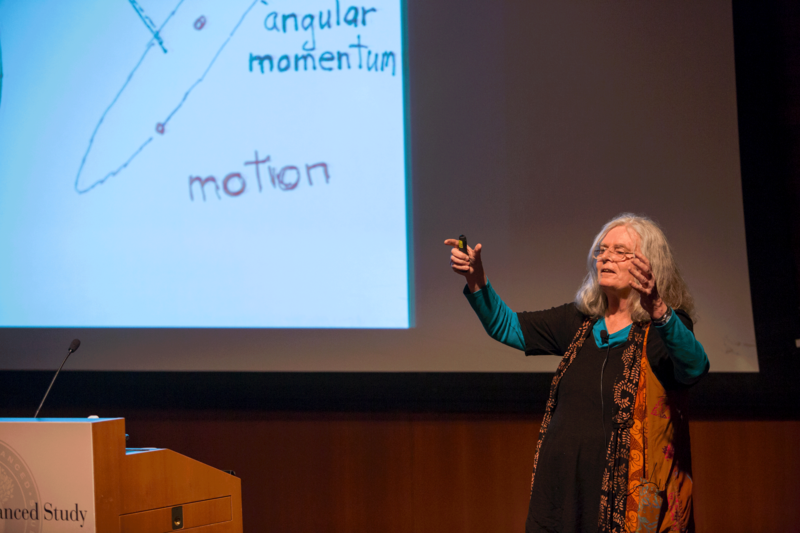 The new Laureate has worked in many areas of mathematics, and has laid the foundations for new and fertile disciplines. Apart from the prestigious award obtained today, worth €600,000, she has received recognitions such as the National Medal of Science in 2000 and the American Mathematical Society Leroy P Steel Prize in 2007. Fellow mathematician Eva Miranda (from the UPC and the BGSMath) recognises that the first female Abel Prize recipient represents a milestone, and that she is an excellent model for all mathematicians around the world. 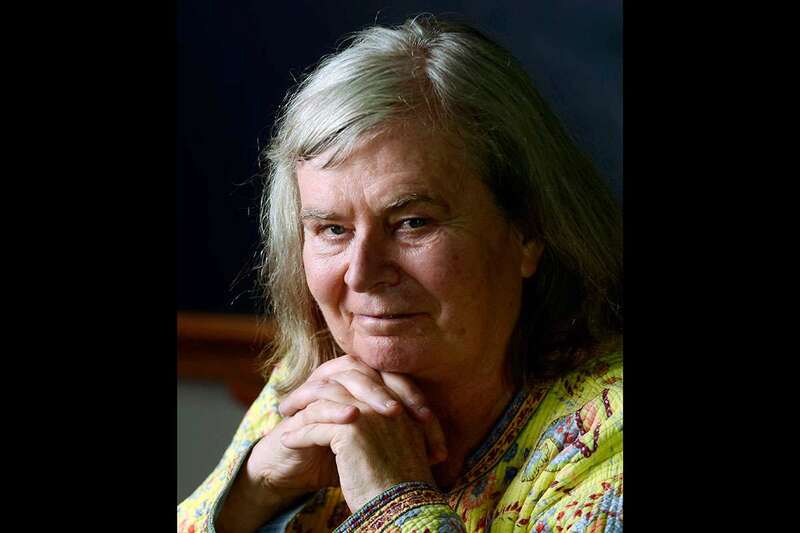 US mathematician Karen Uhlenbeck has been recognised today as a new Abel Prize Laureate by the Academy of Sciences and Letters of Norway. The Abel Prize has been awarded since 2003 and acknowledges “outstanding scientific work in the field of mathematics, including mathematical aspects of computer science, mathematical physics, probability, numerical analysis, scientific computing, statistics, and also applications of mathematics in the sciences”. 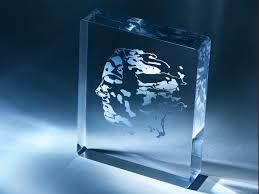 It is endowed with 6 million NOK (about 600,000 euros). 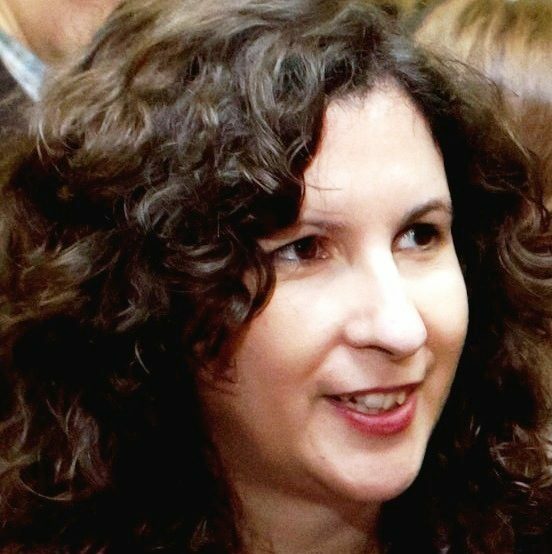 “Finally, an Abel Prize for a woman after 16 years and 19 men” declares Eva Miranda, ICREA Acadèmia professor at the UPC and member of the Governing Board of the BGSMath. “It’s excellent news: time proves us right, there is a long list of excellent women to choose from. The real problem is that if you are a woman, in order to be recognised, you have to be more than extraordinary,” says Miranda. Indeed, Uhlenbeck’s contribution to mathematics is impressive and encompasses three fields that converge and intertwine. The first one is geometric analysis. “Her knowledge of differential equations and geometric techniques allowed her to intuitively understand a phenomenon called bubbling,” explains Miranda. As the name suggests, bubbling has to do with soap bubbles, as it is related to the study of minimal surfaces, such as those built by soap bubbles, in particular those of spheres enclosed within other spaces. This particular area of mathematics draws on analysis of partial differential equations and geometry, two specialties that are particularly strong in Barcelona and within the BGSMath. The study of integrable systems is the second area in which the prolific new Abel Laureate has worked. The field is related to the solution of differential equations in physical problems, such as the calculation of the trajectory of satellites or even much more theoretical problems which straddle the boundary between mathematics and physics, such as the so-called mirror symmetry. Miranda’s group at the UPC and others at the same university (also BGSMath members) work precisely on the study of the trajectories of satellites and planets. Finally, the third pillar of Uhlenbeck’s research is mathematical physics, and especially the so-called Yang-Mills theory. This problem is very directly related to Einstein’s theory of general relativity and to the problem of how two different observers in a gravitational field (gravity is one of the 4 fundamental forces) take measurements. The physicist Herman Weyl tried to extend the problem to the electromagnetic field (second fundamental force) and Yang and Mills extended the problem to the strong nuclear force (third fundamental force). These mathematical efforts led to the so-called unification of electromagnetism with the weak nuclear force (fourth fundamental force) through the so-called “gauge theory”. Uhlenberg applied the gauge theory to the manifolds of dimension 4 (objects that up-close look like Euclidean 4-dimensional space but that might not from afar). Together with C.H. Taubes, Uhlenberg analysed Yang-Mills equations in 4 dimensions and laid the foundations for a discipline using which, in 1986, the mathematician Simon Donaldson won a Fields Medal (the most prestigious prize in mathematics, awarded every 4 years to bright mathematicians under 40). Miranda doesn’t believes Uhlenbeck is just a female role model. She is a model for any good mathematician. 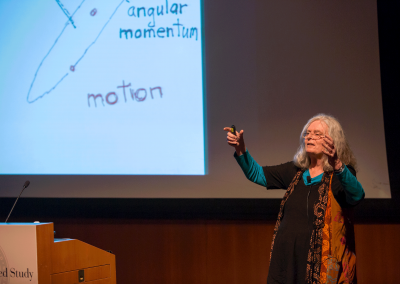 “She has two very important qualities for a mathematician: the first one being the ability to encompass many mathematical fields and the virtue of having a broad vision; the second, the ability to leave the well-trodden path, and ask herself what happens if you do not apply a hypothesis that even your thesis director uses to solve a given problem. That was how she discovered that the solution to one particular problem existed, except in a finite number of points, which is where the solutions produce a visual effect of ‘bubbling’ – hence the name of the phenomenon. Overstepping the mark requires a lot of effort, but sometimes it brings a prize with it”, concludes Miranda.